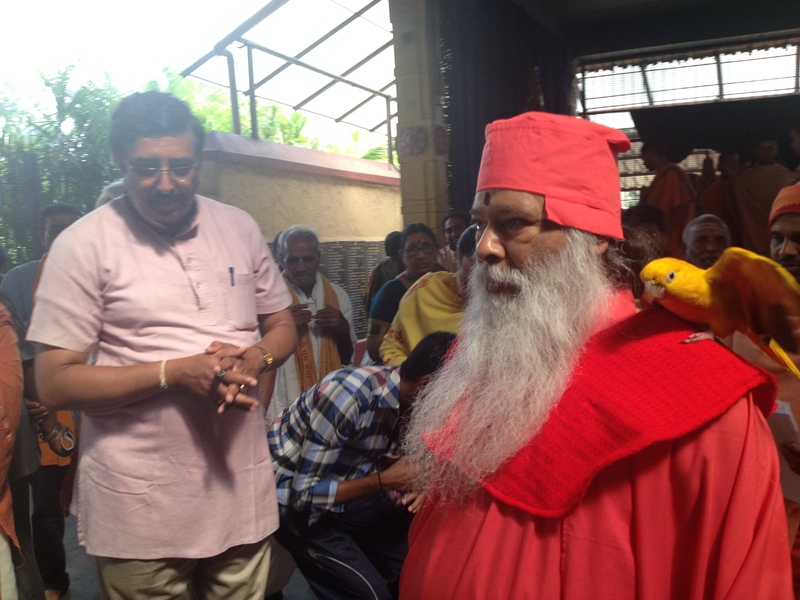 I met Sri Swamiji in Mysore. Before I met him personally, everybody told me his or her own story about Swamiji. What I gathered was that ten or fifteen years ago, he was a good friend for a small group of people, Europeans and Indians as well. His ashram was a tiny place where everyone quickly felt at home. Since then, things changed. Now, Sri Swamiji is being followed by hundreds of people, Indians as well as Europeans. Everybody wants to have a personal talk to him who prefers to talk to his parrots. That’s why he is walking around in public with a parrot on his shoulder. It is some way like other people walk a dog; interesting thing about a guru.